One of the most interesting elements of treks in Maharashtra is the immense history and legend that exists all over the Sahyadris. Almost every trek you go on has sites or monuments built on them, with the ruins of ancient forts and ramparts waiting for you to explore them. 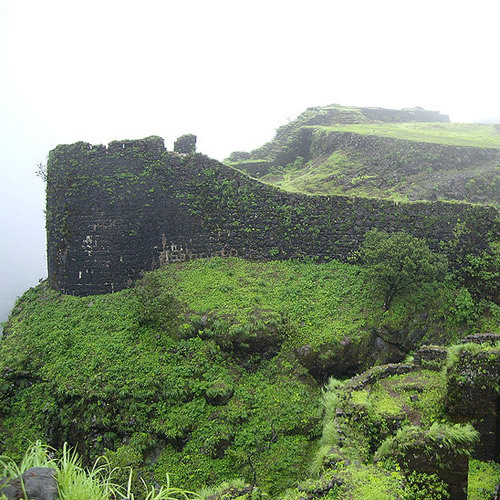 The old hill fort of Harishchandragad is one such trek. 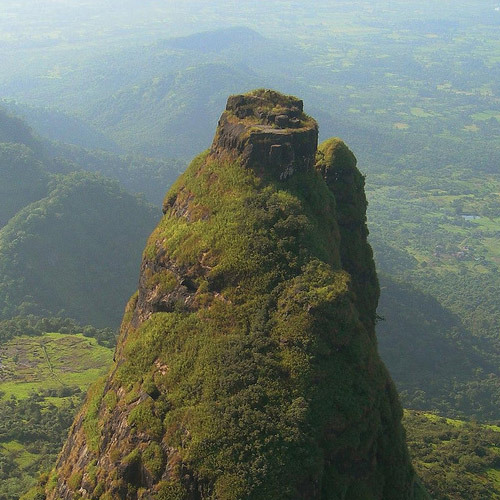 At the top of the Harishchandragad fort, you’ll find a cave that houses an ancient temple with a shivalinga structure. 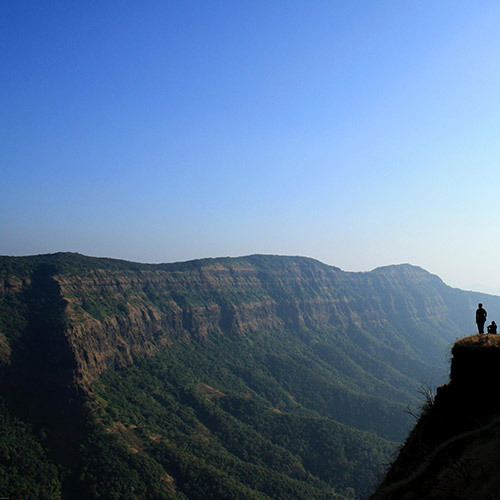 Considered to be one of Maharashtra’s more challenging treks, the Harishchandragad trek is not for complete beginners. The trail goes over rocky patches, steep inclines, and some scary drops. There are boulders of all sizes along your route, and you'll be clambering over them all the way up. The biggest attraction here is Konkankada. Also known as a 'Cobra's hood', the spot attracts a lot of adventure lovers throughout the year. 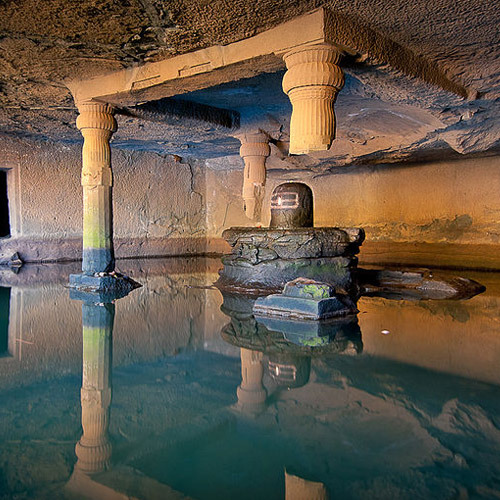 Other sites you will be able to enjoy while on the Harishchandragad trek will include the pristine and cool water of the Saptatirtha lake, the Kedareshwar temple that flaunts its old walls like armour and the Konkan Cliff, that is famous for its circular rainbow during the day caused by the sheer mist in the valley. 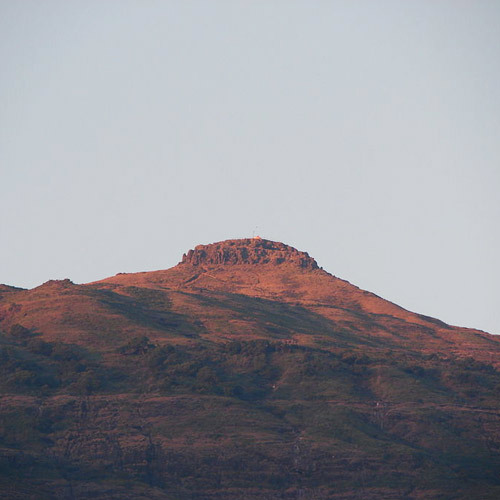 You’ll set off early for the Harishchandragad trek, so that you can finish the ascent before the sun is too high in the sky. After breakfast and a quick briefing session at the base village, you’ll set off. The trail to Harishchandragad fort gets quite steep in sections, and there are rocks and boulders to be tackled. This section takes about 3 hours, but it’s great fun. You’ll stop for lunch en route, and then carry on up to the top for another 3 hours. You should get to the top by around 16:00 hrs, in time to rest a bit, explore the area, and head to the sunset point to watch a spectacular sunset. After that, you’ll enjoy a campfire and a hot dinner, and then retire to your tents for the night. The mornings are glorious on the Harishchandragad trek. You’ll wake up to watch the mists lifting from the valley below. Eat a hot breakfast, and then begin your descent. By 13:00 hrs, you’re at the end point. The trip comes to an end here. 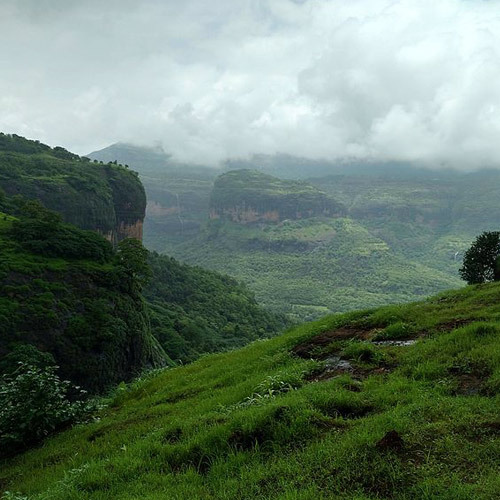 The Harishchandragad trek takes place all year round, as the weather is never too extreme. However, the locals suggest not hiking on the rocky surface in the monsoons, particularly during the night, where one can experience heavy rainfall with thunder. 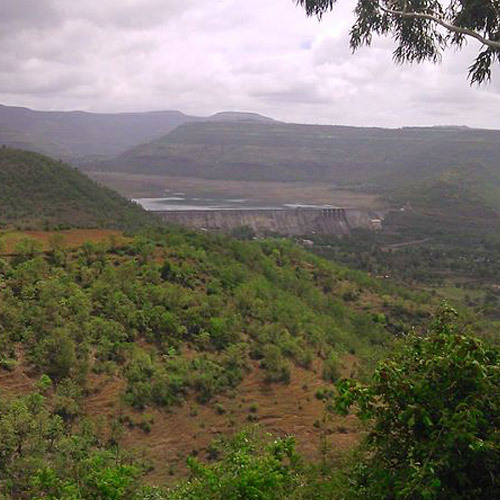 Up for a challenging trek in the midst of the Western Ghats? If you love a good climb, the Harishchandra trek certainly won't disappoint you. 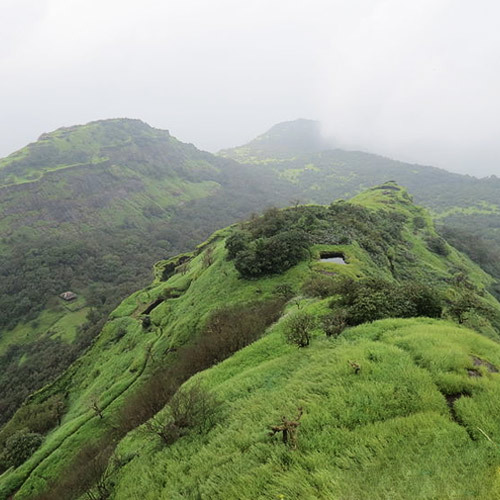 This trek is an eventful one with visits to Konkankada and Taramati point at the top of Harishchandragad. Sign up for this trip and enjoy a panoramic view of the surrounding hills and an enchanting sunset. Harishchandragad is an exciting climb at any time, but this itinerary takes you via Nali chi vaat, which is the most iconic route for this trek. Known to be one of the toughest, this trail goes over rocky patches, steep inclines, and some scary drops. There are boulders of all sizes along your route, and you'll be clambering over them all the way up. You'll also find spectacular views of Konkankada, which you can admire on your many breaks. 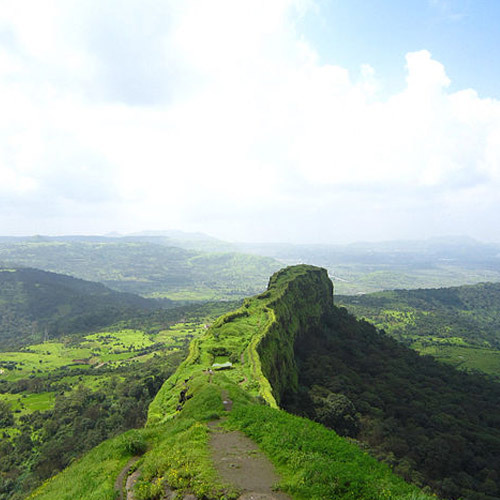 This trek to Harishchandragad Fort takes you over the rugged terrain that is typical of the Sahyadris. You’ll negotiate steep slopes and rocky outcrops to summit to the top and witness a gorgeous sunset from Konkankada. There is also a stunning sunrise to be witnessed from the top of Taramati peak where the marshmallow clouds sail only a few feet above. You'll camp at the iconic Konkankada cliff that looks like cobra’s hood, and will return the next day. IMPORTANT: This is a moderate to challenging trek and is not recommended for first-time trekkers. This trek does NOT take the tougher route via Nali chi Vaat, but it is still suitable only for trekkers with prior experience.